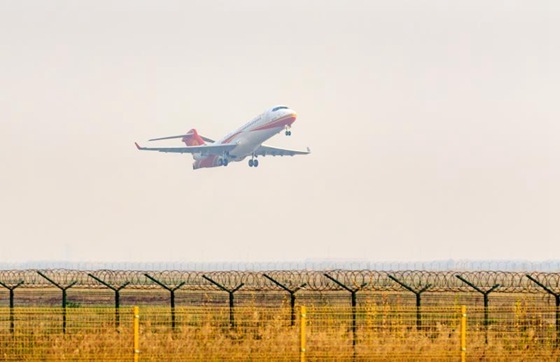 The third ARJ21 aircraft delivered to Chengdu Airlines__Commercial Aircraft Corporation of China, Ltd. The third ARJ21 aircraft was delivered to customer on October 19th, 2017. 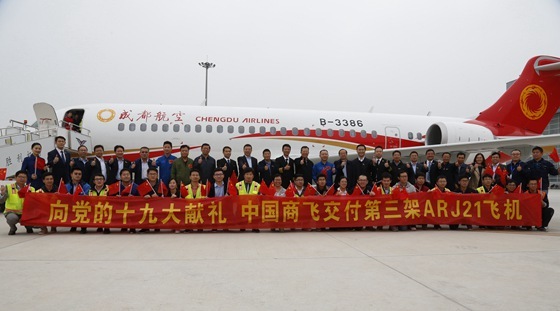 Commercial Aircraft Corporation of China, Ltd. (COMAC) delivered the third ARJ21 aircraft to Chengdu Airlines at Dongying, Shandong province on October 19th, 2017. 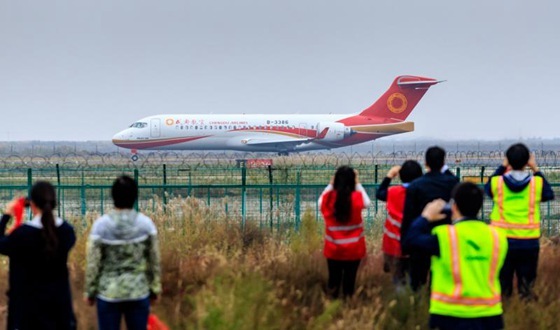 This is the first ARJ21-700 aircraft delivered in the form of leaseback and is also the first aircraft delivered after ARJ21-700 aircraft has obtained the first Production Certificate (PC) and COMAC Manufacturing and Final Assembly Center has entered the phase of batch production, which indicates a steady advancement of China's regional jet towards batch production. Mr. Liu Linzong, Deputy Secretary of the Party Committee and Vice President of COMAC, Mr. Zhang Runguo, member of the Standing Committee of the CPC Dongying Municipal Committee and Executive Vice Mayor of Dongying, relevant leaders of CAAC Southwest Regional Administration, Mr. Wang Weijun, Chairman of China Aerospace Leasing Co., Ltd., Mr. Chen Weizhe, President of China Aerospace Leasing Co., Ltd., and Mr. Zha Guangyi, President of Chengdu Airlines, attended the delivery ceremony. 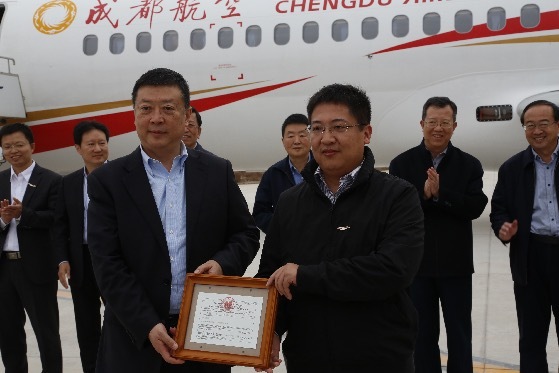 The third delivered ARJ21-700 aircraft is purchased by China Aerospace Leasing Co., Ltd. and leased to Chengdu Airlines. This aircraft has 90 seats in an all economy-class configuration, and has obtained the "nationality registration number" B-3386 not long ago. 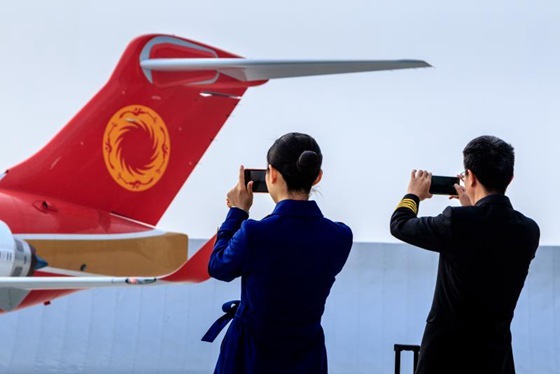 ARJ21 aircraft, China's first new short-medium range turbofan regional jet which is developed in accordance with international civil aviation standards and owns independent intellectual property right, has been in commercial operation for more than one year. 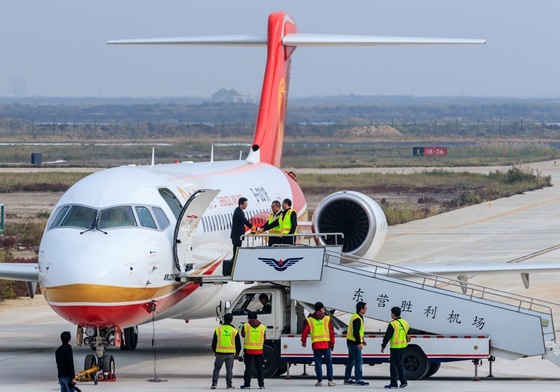 It flies round trips between Shanghai Hongqiao Airport and Chengdu Shuangliu International Airport with a stop-over at Changsha Huanghua Airport, and has accumulatively carried more than 25,000 passengers by now. Up to now, a total of 433 ARJ21 orders have been obtained from 20 customers. 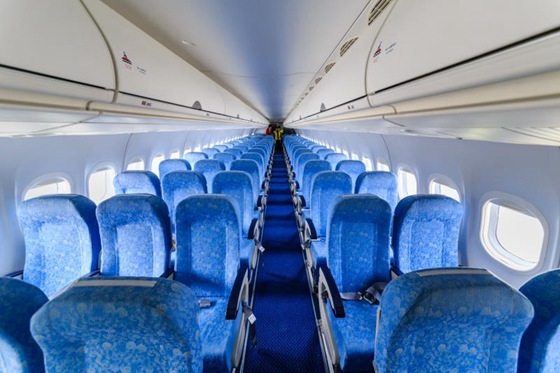 COMAC has listened to the customers' opinions and market feedback in a timely manner since the delivery for commercial operation of the first ARJ21 aircraft more than one year ago, constantly optimized the design while guaranteeing the smooth operation of ARJ21 aircraft, made cabin optimization and related efforts, and improved local details strictly in accordance with continued airworthiness requirements, so as to improve the experience of passengers. 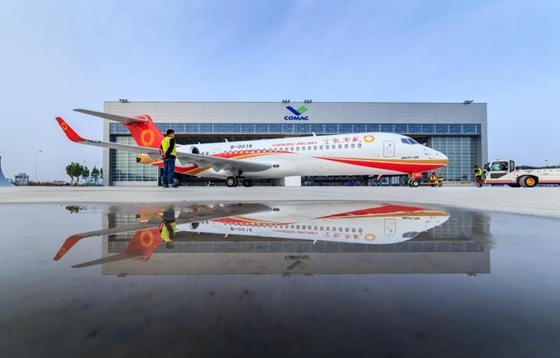 COMAC plans to deliver more than five ARJ21 aircraft to its customers this year. The production of subsequent aircraft in the production batch is stepping up synchronously, wherein the whole painting and related functional tests of AC108 has been substantially completed, and AC109-114 are all in the phase of final assembly and functional test. With respect to batch production and construction, it was clearly stated in the 13th Five-Year Plan for the Development of National Strategic Emerging Industries issued by the State Council at the end of 2016 that ARJ21 aircraft should achieve batch production and delivery. Civil Aviation Administration of China (CAAC) granted an ARJ21-700 aircraft production certificate to COMAC on July 9th, 2017. COMAC reformed the organizational structure by establishing an ARJ21 division in the Manufacturing and Final Assembly Center and implementing single aircraft responsible person and station leader responsibility system to strictly take the measures such as regulations related to quality management, accelerate production process, improve efficiency and achieve batch production. A photo of ARJ21 aircraft with the nationality registration number B-3386.